Erase with your favorite Pokemon! 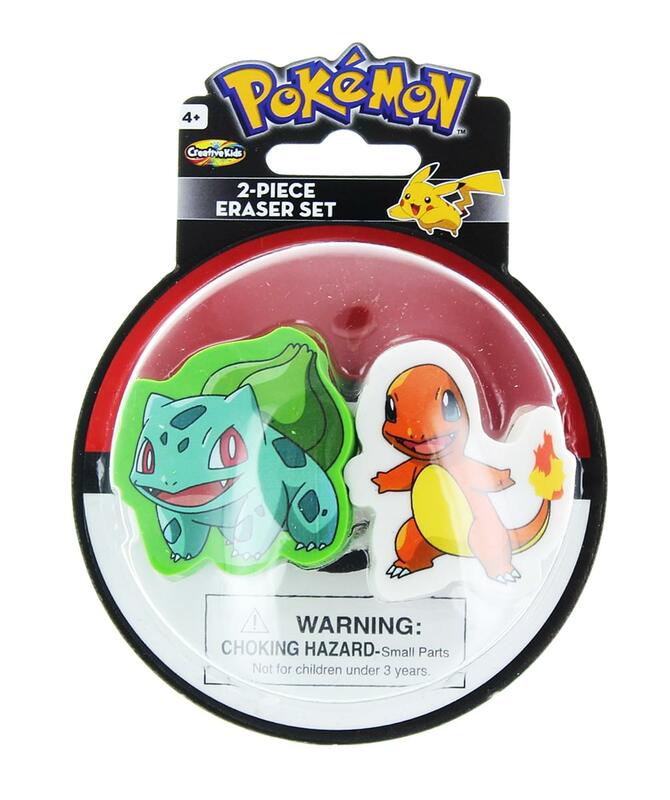 This set includes 2 character erasers. Pokeball shaped package makes a great gift! Perfect for party favors, treat bags and birthdays! Erase with your favorite Pokemon! 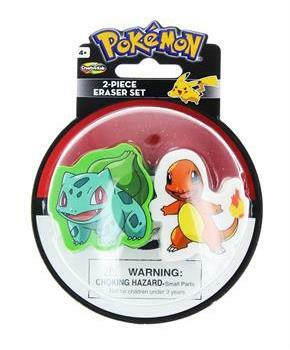 Set includes 2 erasers: Bulbasaur and Charmander. Pokeball shaped package makes a great gift! Perfect for party favors, treat bags and birthdays!